Locally Owned and Operated Funeral Home. 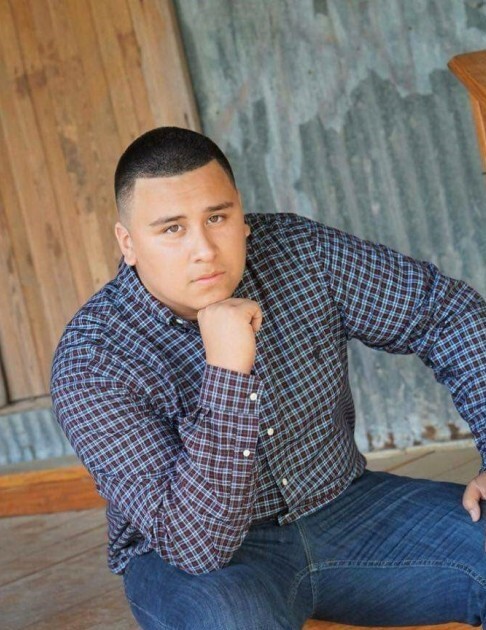 Manuel Isaiah Aguado,20, of Lockhart went home to be with our Heavenly Father Thursday November 8, 2018. He was born January 19, 1998 in Rome, Ga the son of Yvette T. Aguado of Lockhart and Manuel Aguado of Georgia. He graduated from Lighthouse Christian Academy, where he was salutatorian of his Class in 2016. Isaiah received several academic and athletic awards. There was nothing he enjoyed more than an interesting and engaging conversation with anyone who would lend an ear. He was famously opinionated and that is what set him apart. His intellect was astounding, and his knowledge grew daily because of his passion for reading. He lived life to the fullest with his charismatic attitude and love for life. His purpose was to show the world to love one another and put a smile on everyone’s face with his humorous personality. He is survived by his parents Yvette T. Aguado, father Manuel & Wendy Aguado, his sisters Tianna, Martha and Jade. He also leaves his maternal grandmother Ida “Momo” Trevino; aunt Jessica Cuellar; uncles Aaron Trevino, Ignacio Leija, Robert Cuellar, Galen & Rogelio Recio; cousins Sierra & Aaron Aguilar, Joshua De Leon, Samantha, Maddison & Genesis Cuellar, Zenaida Tucker and Jordan Leija. Preceded in death by his maternal grandfather Rogelio Recio Sr; paternal grandmother Maria Reyes and great aunt Nancy Tamayo. Viewing will be November 15, 2018 at Eeds Funeral Home in Lockhart from 6pm-8pm. A celebration of Isaiah’s life will be held at the First Lockhart Baptist Church Friday, November 16, 2018 at 10am and burial at Lockhart City Cemetery. Reception to follow at First Lockhart Baptist Church Fellowship Hall.